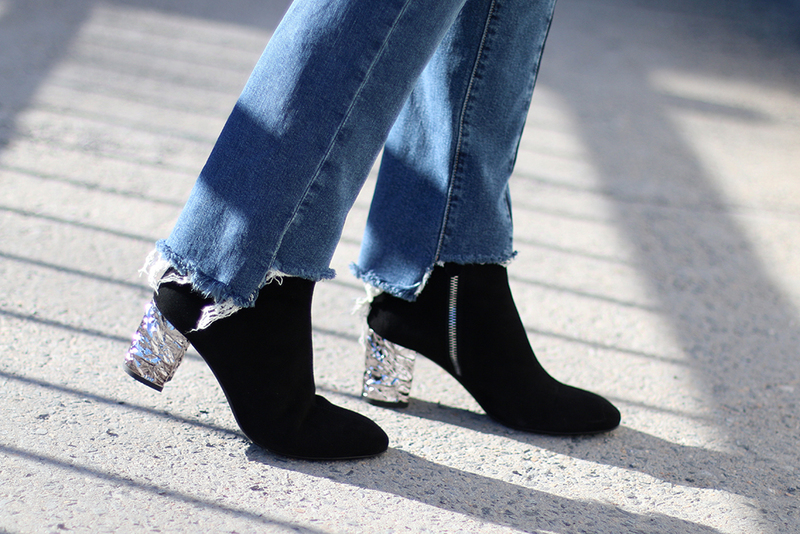 This season, jeans with straighter legs are making a comeback. Especially those with a raw hemline, like this new model by Paige denim. Frayed, uneven, cropped, it's all about showing those ankles (when it's gonna be warmer), and pairing them with the coolest boots. Talking about cool boots, this new pair of La Canadienne booties, with a silver block heel, is not only striking, but also über confortable. Can't go wrong with that ! Finally, if you don't have a bodysuit for spring, you are missing out ! Mine's from the archive re-issue collection from Gap !